London (CNN Business) 1. 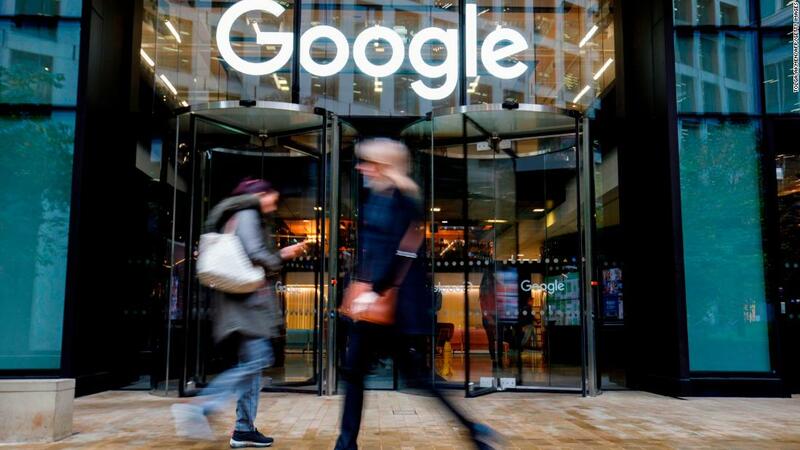 Google earnings: Alphabet (GOOGL), the parent company of Google, will report results for the final three months of 2018 after the closing bell. Google suffered a series of PR snafus at the end of last year that helped push its stock lower. Congress grilled its CEO over data privacy, employees walked out over sexual harassment scandals and it disclosed a security bug. Shares in Google are now trading just above their level from a year ago. 2. The fate of Sears: The moment of truth has arrived for Sears (SHLDQ), once the United States’ largest and most important retailer. US Bankruptcy Court Judge Robert Drain is due to hold a hearing starting Monday on Sears’ plan to sell its assets, including 425 stores, to its chairman Eddie Lampert. It is the only chance to save the jobs of up to 45,000 employees of the Sears and Kmart chains and keep the 133-year old retailer in business. Lampert’s rescue bid is opposed by creditors, including vendors and landlords, who argue that the company should be shut down and liquidated. Sears hopes to have a decision approving the sale by February 8, and that it hopes to close the sale by February 19. 3. China troubles: Panasonic (PCRFF) is being hurt by an economic slowdown in China and friction caused by a trade war between Washington and Beijing. The Japanese electronics company cut its operating profit outlook for the current fiscal year to 385 billion yen ($3.5 billion) from 425 billion yen ($3.8 billion). It also reported a sharp drop in third quarter operating profit. It’s not the first victim: Apple (AAPL) previously warned about weaker iPhone sales in China. Tire maker Goodyear (GT) and FedEx (FDX) have also said that softness in China was hurting their profits. European markets opened mixed, following the trend set in Asia. Markets in mainland China are closed this week for a holiday. The Dow Jones industrial average closed up 0.3% on Friday. The S&P 500 added 0.1% and the Nasdaq shed 0.3%. 5. Earnings and economics: Clorox (CLX) and Sysco (SYY) will release earnings before the open. Shares in Ryanair (RYAAY) dropped 4% after the airline reported a €19.6 million ($22.4 million) net loss for the holiday quarter. The discount airline also announced a change to its corporate structure. Veteran boss Michael O’Leary will become group CEO, and each of the company’s four airlines will have its own chief executive.